Psychedelic drugs such as magic mushrooms and LSD should be legally reclassified so researchers can investigate their potential medical uses, an academic specializing in drugs has said. James Rucker, from the Genetic and Developmental Psychiatry Centre at Kings College London, voiced the calls in a piece in the British Medical Journal published on Tuesday. He further states that psychedelics are not known to be conducive to drug dependence, adding that the therapeutic index (toxic dose as a ratio of standard dose) in psychedelics is far higher than in other addictive substances, making them much safer. “The belief that psychedelics induce homicidal or suicidal behavior was inculcated by the politically driven and media led condemnation of LSD in the 1960s,” he writes. Rucker adds that many of the more recent trials indicate psychedelics could be used to treat substance addiction. He calls on the UK Advisory Council on the Misuse of Drugs and the 2016 UN General Assembly to re-classify the drugs as Schedule 2, which would allow them to be examined in clinical trials and examined for their medicinal potential. Psychedelic drugs alter the levels of serotonin in the brain, causing the user to alter the way they perceive their surroundings and can induce a change in mood and the way the brain responds to situations of stress or anxiety. While the BMJ says users normally respond predictably, complications may arise if too much of the drug is ingested, or if they are taken in conjunction with other substances. Head of Campaigns at the Transform Drug Policy Foundation Martin Powell told RT the current legislation surrounding drug use is hampering the development of effective treatments, while criminal offences led to an increase in substance abuse. “From encouraging the consumption of contaminated products of unknown strength; fuelling the spread of blood-borne diseases; deterring users from seeking help; reducing access to pain relief in developing countries; to depriving us all of research that could lead to effective treatments for a wide range of medical conditions any benefits are far outweighed by the negative consequences of our current approach,” he said. “50 years of failed prohibition have proved there is no third option in which drugs don’t exist, or no one takes them,” he added. 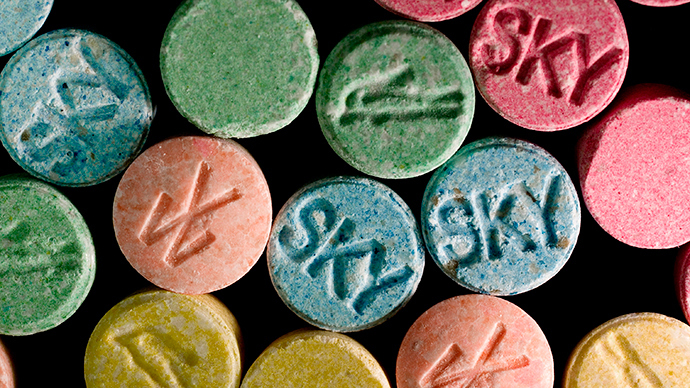 In March a British university professor lost his job for claiming that LSD and ecstasy were less harmful than alcohol. Professor David Nutt carried out an experiment where 20 volunteers had their brains monitored while high on LSD. After losing his job for claiming the drug was safe to use, he has resorted to crowd-funding the remaining £25,000 needed to analyze the data.